Do the delivery economics work? Union Square Hospitality Group, Danny Meyer’s celebrated fine-dining group, held its first-ever town hall meeting with the public Monday night to field questions and comments about its plan to eliminate tipping. Executives used the opportunity to reveal particulars about how the program would work and how the numbers pencil out. It also revealed that the elimination of gratuities would be accompanied by the rollout of a new career ladder that spells out what skills are needed for front-of-the-house employees to advance to the next salary tier, and what that pay will be. Servers will be paid a guaranteed base wage of $9 an hour, plus a payout from a profit-sharing program that also extends to back-of-the-house employees. Servers in USHG restaurants are currently paid a base wage of $5 an hour. Line cooks will be paid $14 an hour, $3 above the average in New York City, according to USHG Chief Culture Officer Erin Moran. The profit-sharing program will divide a portion of sales among nonservers in roughly the same way that gratuities have been tipped out in the past. The notion is to do at least as well by employees as they fared under tipping, the executives said. Because everyone will be salaried, merit wages will be possible for the first time for servers, said CEO and USHG founder Meyer. What’s servers’ incentive to deliver good service? Meyer noted the star system that’s used by car sharing services like Uber and Lyft, both of which use all-inclusive pricing instead of letting patrons tip. Customers are encouraged to rate the service by awarding one to five stars via a smartphone app. One of the 100 or so people in attendance recommended that the line be used for two groups of stars, one for food and one for service. USHG executives took note of the idea, with gratitude. In addition, patrons will be encouraged to alert a restaurant’s management if they were disappointed with the service, just as now they’re encouraged to speak up if the food wasn’t up to their expectations. What will be the effect on menu prices? Instead of levying an across-the-board increase, management intends to review every item on the menus of its 13 restaurant concepts to see where there’s elasticity. “So if you’re talking about a cup of coffee, you’re probably not going to be paying a lot more for that cup of coffee,” said Sabato Sagaria, USHG’s chief restaurant officer. All told, he said, diners will likely pay 5 percent to 8 percent more after tipping is eliminated than they currently spend for a meal and gratuity. Part of that increase will be sales tax, since the all-inclusive price is subject to that levy. As Sagaria noted, customers currently don’t pay sales tax on gratuities. Moran noted that menu prices are likely to rise throughout New York City’s fine-dining scene in January because the state minimum wage for tipped employees rises to $7.50. What will be the effect on credit-card fees and rents that include a revenue share with landlords, since tips currently aren’t factored into those charges? USHG is currently meeting with its landlords to negotiate how much of that potential windfall will be passed along. “We’re actively engaging with our landlords with this, about how we’re doing it, why we’re doing it, about how they can be part of this solution, about how they can be part of this story,” said Sagaria. He acknowledged that credit-card fees would go up because of the higher sales volume. Unnoted was that many tips are already left as part of the total credit-card transaction. How does USHG expect competitors to react to the changeover, which starts in two weeks at The Modern? “I honestly don’t care if any other restaurants make this change, because while they don’t, [The Modern Executive Chef Abram Bissell] is going to have the chance to hire better people for his kitchen,” said Meyer. 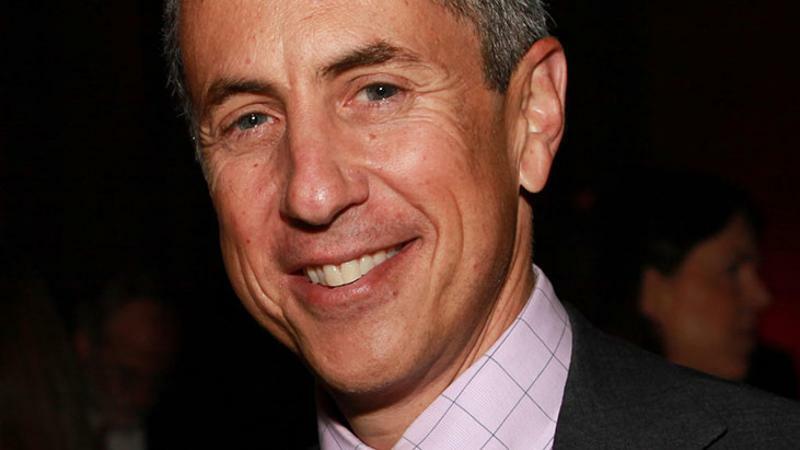 This week's 5 head-spinning moments: What'd Danny Meyer say? What did USHG see as the alternative? “Unless we break the system and do something about it, I’m telling you right now you’re going to see fine-dining full-service restaurants fall by the wayside,” said Meyer.